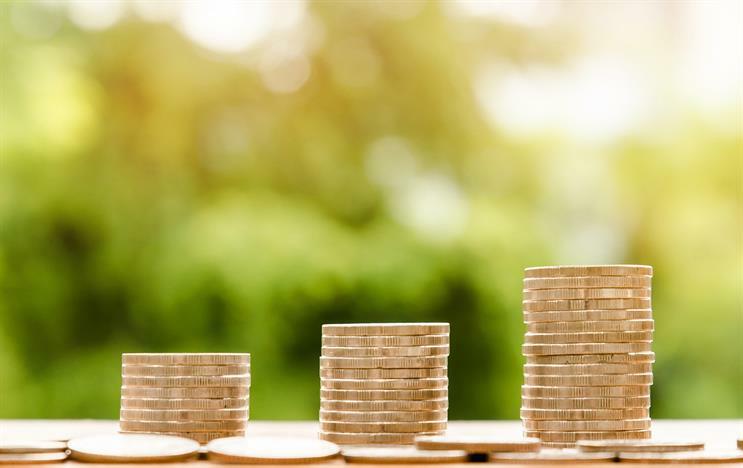 The third quarter has had 58 completed mergers and acquisitions in the media and marketing sector worldwide, the Kingston Smith Marketing and Media deal tracker reports. While the uptick in deal activity seems "counterintuitive" given the backdrop of uncertainty spawned by Brexit, the rise of US present Donald Trump, and Germany's election and unrest in Spain; these events are steering investments. "This year’s dominance of digital and namely this quarter’s surge in interest in analytics firms suggests buyers are looking more and more for the certainty data can bring in an increasingly uncertain world," the report said. The strong M&A activity may also indicate that three-quarter slump has come to an end. 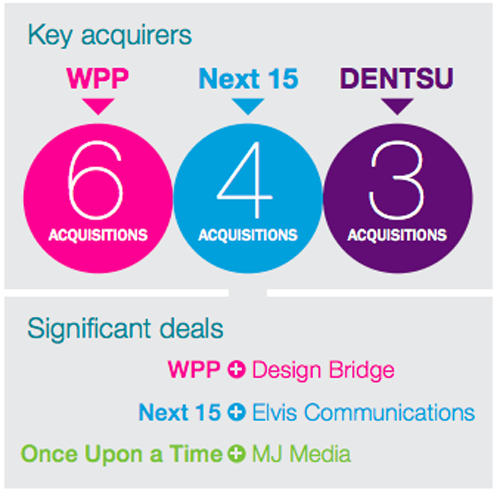 WPP was the most active this quarter with six acquisitions, with galf of their deals in digital. The digital agencies were Dis/play in Denmark; Hug Digital in the UAE and SensioLabs in France. WPP has previously stated that it was strategically investing in Western Continental Europe due to Brexit. Perhaps it is this that spurred UK agencies to acquire overseas despite the weakened sterling – 83% of overseas deals this quarter involved a UK buyer. WPP's only acquisition in the UK was Digital Bridge, adding to the group's portfolio of design companies. Digital communications group Next 15 was the next most active. In contrast to WPP however, all four of its acquisitions were in the UK. Two of the deals were for market research companies, in line with chief executive Tim Dyson's stated focus on data and insight. The remaining two were in digital: Elvis Communications and Velocity Partners. Dentsu is still shopping. The group bought digital creative agency Little Giant Design in New Zealand; Aquila Insight, a data analytics company in the UK; and taking a majority stake in Indian digital marketing software business Sokrati Technologies. The Indian purchase will allow Dentsu to roll out its performance marketing agency there, with the new business rebranded Merkle Sokrati. Digital’s share stood at a third of this quarter’s deals, comfortably ahead of advertising, which was a distant second with just 17% of the share of deals for Q3 – but a steep drop from Q2’s 59%. Within the digital sector, half the deals took place in the full service (30%) and analytics (20%) sub-sectors, both up markedly from 8% each in the last quarter. The increase in analytics may be down to an apparent demand for more data-driven marketing businesses.